nursing education that provides education in basic nursing concepts, advanced technology, and critical care nursing. The curriculum provides optimal, hands-on clinical experience due to the proximity of the medical center. 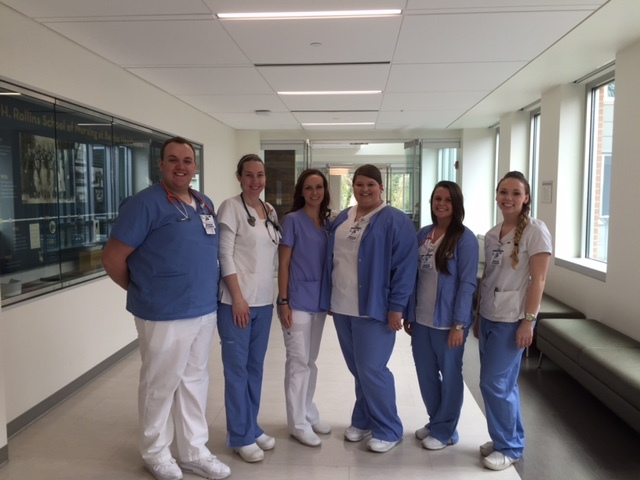 Upon completion of the program, graduates are well prepared for licensure and entry level nursing practice. Articulation agreements with the University of Delaware and Wilmington University facilitate the student’s opportunity to obtain a Bachelor of Science in Nursing degree. Prerequisite college courses are required prior to enrollment in the Margaret H. Rollins School of Nursing program. For more information, call the School of Nursing at (302) 645-3251, or go to /school-nursing to download an application. Caption: Senior students at the Margaret H. Rollins School of Nursing volunteered at the Girl Scout Outreach Day, left to right, Scott Bell, Ashley Rego, Crystal DiMattia, Beth Willing, Jillian Zuppo, and Marissa Setzer.